When Skitch first came out, I was a huge fan. It was an extremely useful app for quick editing and sharing images. You could resize, point things out, draw, etc on images. 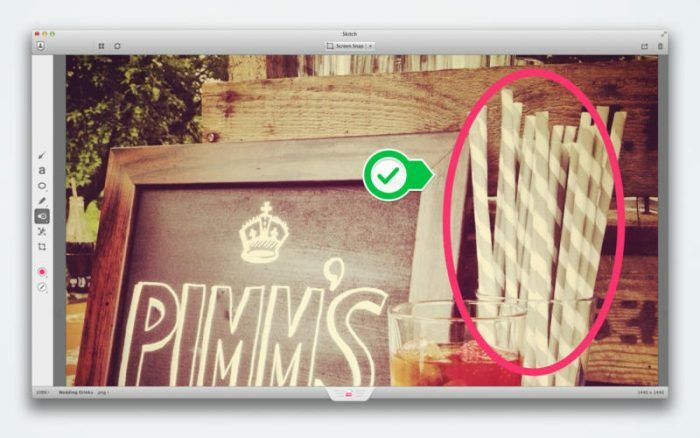 Shortly after Skitch got taken over by Evernote, Skitch Version 2 came out. Version 2 was a huge step backwards. Numerous features got removed, the UI completely changed. It was a big fuckup of a release. It seems that Evernote may have finally fixed and replaced most of the problems. On the 24th, version 2.7 was released, and is an improvement over the prior version. It finally works like the original Skitch worked. It doesn’t beg you to sign up for Evernote every time you use it. It just works how it should. I was extremely disappointed when version 2 was announced. So many important features gone. I’ve actually been using the original since version 2 came out because it was so useless. With the new v2.7, I’ve finally upgraded to the new app. *Just a tip, moving an App Store application to the Desktop does not make it a safe storage place if you don’t want to upgrade it. 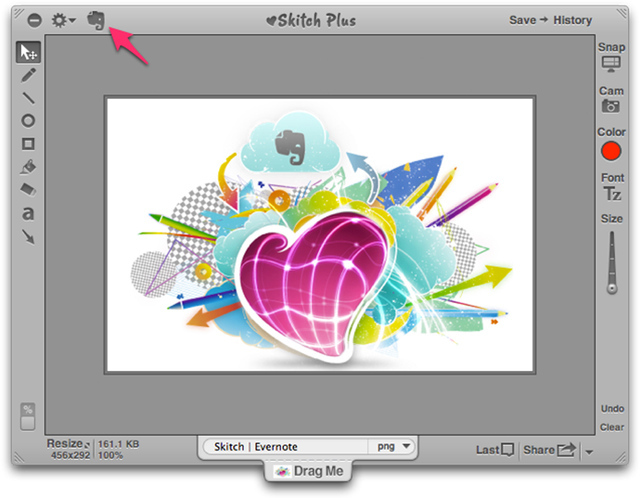 I moved my verion 1.x copy of Skitch to the Desktop so it wouldn’t get overwritten when I downloaded the new version. It got overwritten anyways. Glad I made an archive of it before I clicked that download button.